"Your print was designed by Kunitoshi (国利 - 1847-1899) and published in 1881. Apparently much of the same design was used for another triptych five years later (see above), then signed with the name of Toshinobu (年信 - 1857-1886). 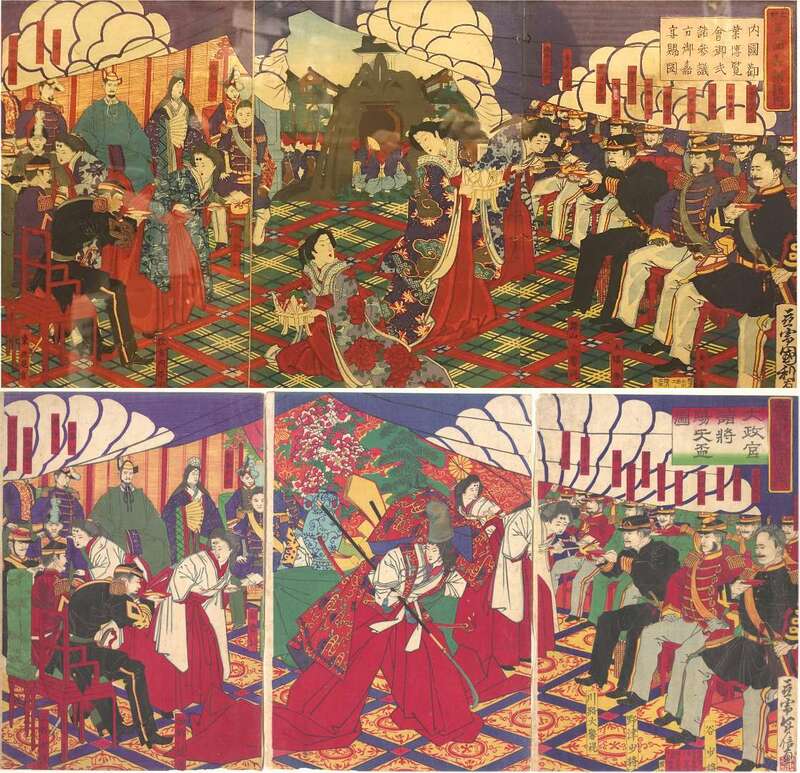 According to the Metropolitan Museum of Art it depicts "Commanders Receiving the Emperor's Drinking Cups" - perhaps an annual ceremony with much the same commanders."